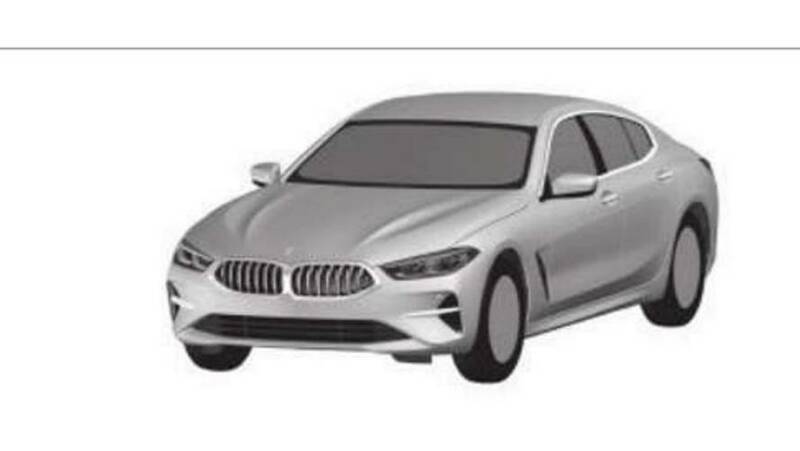 Design registrations from the Brazilian National Institute of Industrial Property are providing the first look at BMW's design for the road-going 8 Series Gran Coupe sedan. 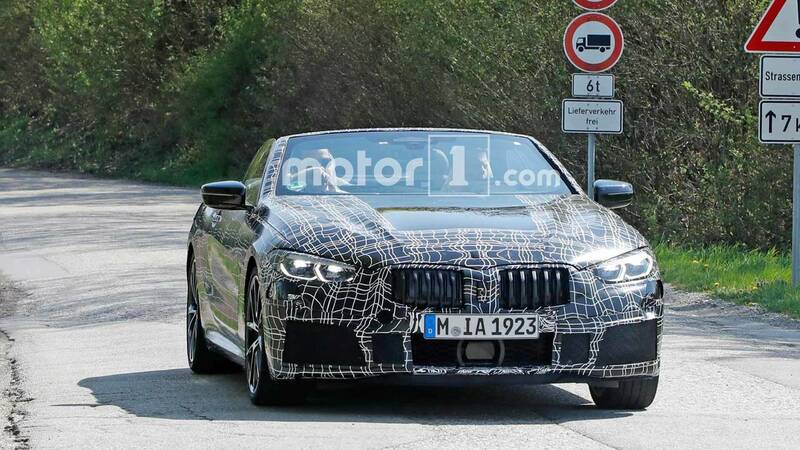 The filings also confirm the final shape for the frequently spied 8 Series convertible. 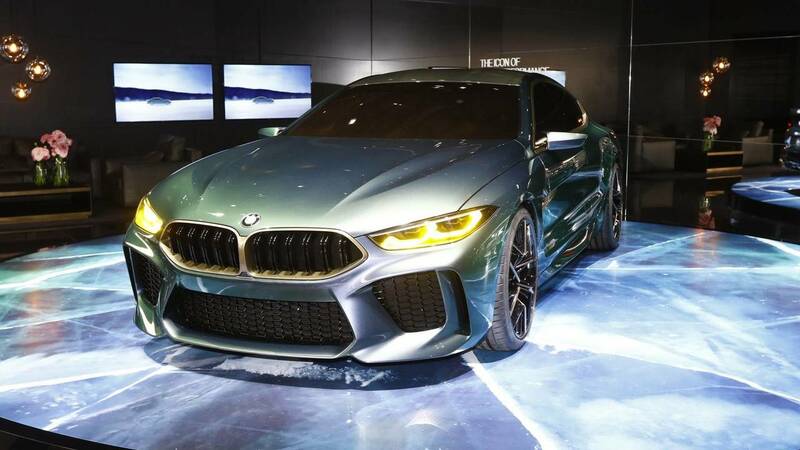 BMW revealed the M8 Gran Coupe concept at the 2018 Geneva Motor Show as a preview of what a four-door version of the model might look like. The new design filing indicates the German brand is serious about putting a vehicle like this into production. At 191.2 inches long, the new 8 Series coupe is closer in size to the 194.6-inch-long 5 Series than the 206.6-inch-long 7 Series. This sizing suggests the 8 Series Gran Coupe would occupy a spot akin to the old 6 Series Gran Coupe. The four-door 8er would be the stylish alternative for buyers that don't mind sacrificing some of the 5 Series' practically for a more curvaceous shape. The Gran Coupe would likely share engines with its two-door counterpart. At launch, the new model is available with a 4.4-liter biturbo V8 that makes 523 horsepower (390 kilowatts) and 553 pound-feet (750 Newton-meters). Europeans can also get a 3.0-liter biturbo inline-six with 315 hp (235 kW) and 502 lb-ft (680 Nm) of torque. 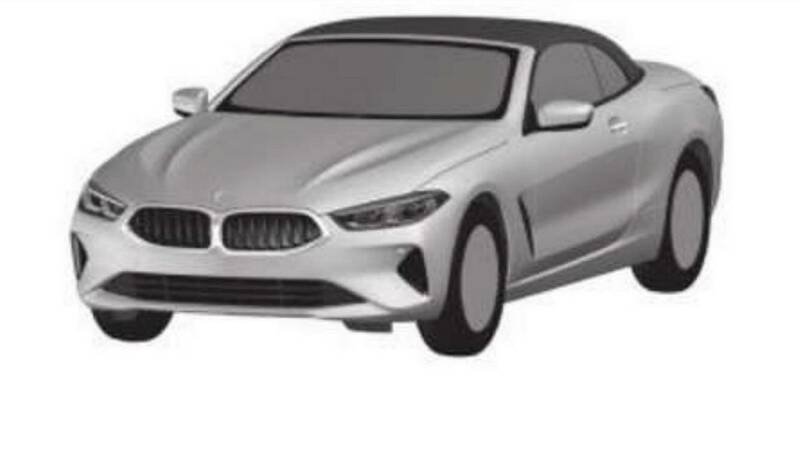 Spy shots confirm development of the M8 coupe is underway and likely has the more powerful version of the 4.4-liter biturbo V8 from the M5 with as much as 617 hp (460 kW) and 553 lb-ft (750 Nm) of torque in Competition trim. Pictures also confirm the 8 Series convertible's development, and this design filing shows off the final shape. The car appears to be in a basic spec with a simple lower fascia. 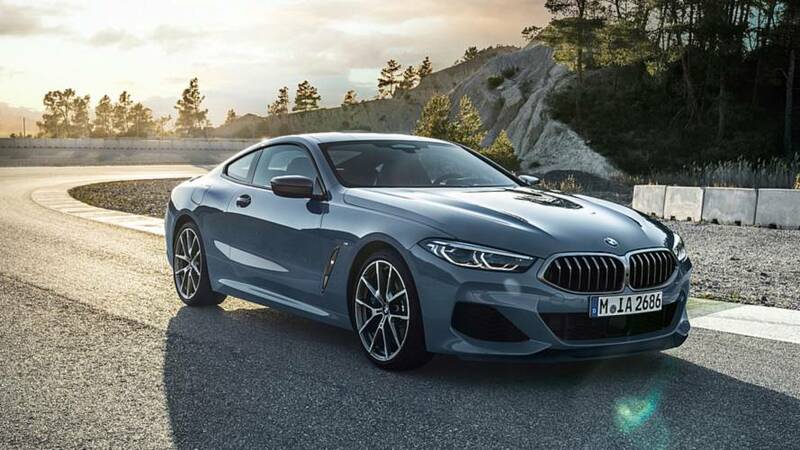 The biggest design changes are at the rear where BMW's designers have to incorporate the folding roof rather than the gently sloping top on the coupe. There's no word yet about when the Gran Coupe or Convertible might debut, but the immense number of spy photos suggest the droptop would arrive first.